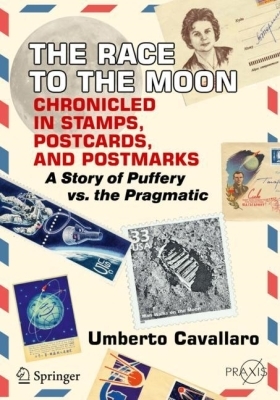 Umberto Cavallaro is founder and current president of AS.IT.AF (Italian Astrophilately Society), as well as the editor of its quarterly journal, AD*ASTRA. His professional activity led him to cooperate for many years with ESA, the European Space Agency. Author of "Propaganda e Pragmatismo in gara per la conquista della Luna" ("Propaganda & Pragmatism in race to the Moon" Impremix, Torino 2011) and "Donne nello Spazio" ("Women inSpace", Mursia, Milano 2015), he has translated into Italian several publications, including "The All-American Boys" by Walter Cunningham, an Apollo VII astronaut.